Editor’s Note: Names have been changed throughout this article to protect identities. 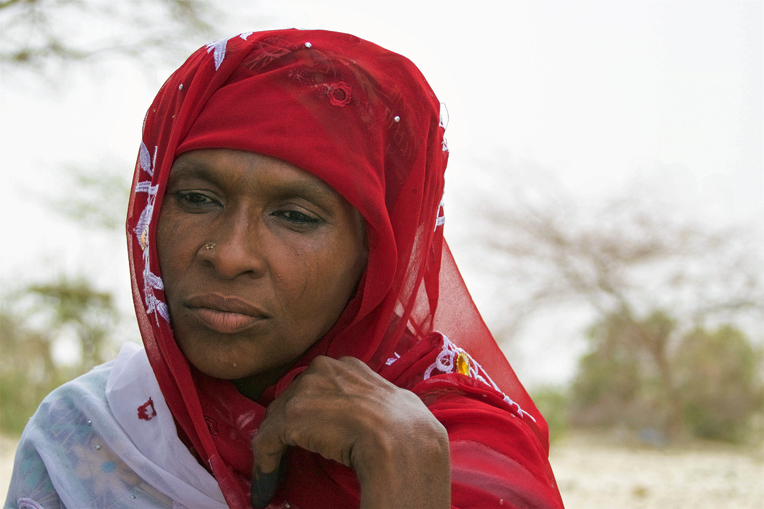 In the Diffa region of southeastern Niger, there is little sound. Apart from the side-to-side rocking of the moving Land Cruiser and subtle shifting of sand in the wind, the sun beats down on a sparse landscape largely devoid of movement. Motorcycles are forbidden. People are reserved. Yet underneath the silence, there is the lingering sensation of pain. A region already struggling with chronic food insecurity, the inhabitants of Diffa live a life riddled with hardship. The steady desertification of the region results in smaller harvests year by year. 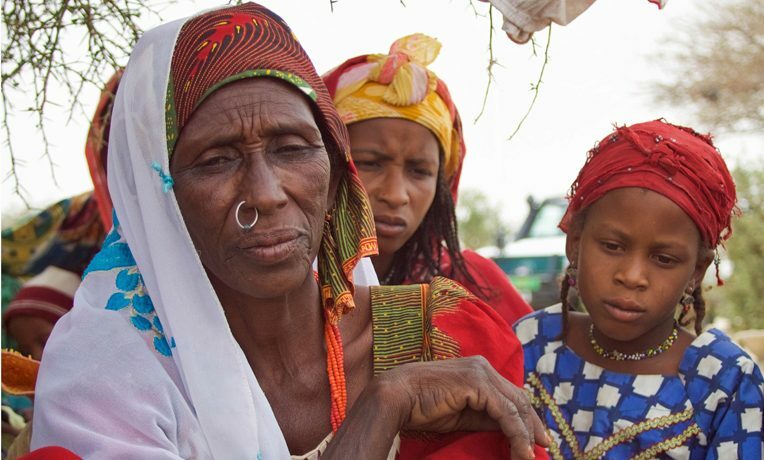 The problem is even more pronounced now as a steady influx of the internally displaced, refugees from Nigeria, and refugees from Chad continue to arrive in the Diffa region. There is simply not enough food to go around. A common theme is noticeable when you speak with those that dwell in these tents and thatched lean-tos dotting the countryside. The terrorist group Boko Haram has been the catalyst of their movement. Along with losing all their possessions while fleeing from Boko Haram, people are also struggling to provide for themselves. Those who lived and fished near Lake Chad, cultivating the land and herding livestock, now find themselves in a dry, bleak landscape where there are few income-generating activities to sustain them. “It is total misery here,” Saratou said. One man, Ibrahim, said that there isn’t enough grass or forage for the animals he is depending on for his livelihood. Even so, he and many others refuse to return to the place they once called home. Considering the measures these refugees took to arrive in Diffa, it’s understandable that the thought of return is daunting. After Boko Haram made an afternoon visit to their village, Daouda and Amina uprooted their family that night, heading to Diffa with nothing but the clothes on their backs. They spent two nights in the elements with no shelter, no food, and seven children to look after; it’s a journey they hope never to repeat. Sisters Fatima and Rahila have a similar story. After her husband died in an accident and their village suffered an attack from Boko Haram, Fatima and her family made the journey west. Cultivators by trade, they settled down and planted millet in their new village. But before three months had passed, this new home was also attacked by Boko Haram. They had no choice but to leave before their new crop could be harvested. They walked for hours on end, spending nights in the desert without food, water, or cover. Arriving in Diffa on their third day brought little comfort. The stress of the repeat attacks severely traumatized Rahila’s husband and plunged him into the madness that led to his death. “He was never the same,” Rahila said. A moment of silence descended over the group as they looked down and remembered the lives of those they’d lost. The family is largely composed of women and children at this point. Fatima picked up where her younger sister left off and finished recounting the story of their journey. In many of these villages and make-shift refugee camps, Samaritan’s Purse is the only relief organization present. When so many lives are at stake, that lone presence does not go unnoticed. “Every time we see a car go by, we think it’s you, and we are happy,” Fatima said. Samaritan’s Purse is providing rations of corn, beans, and oil to the displaced, the widows, and the poorest host community households. During food distributions, malnutrition screenings are conducted to assess the health of children. 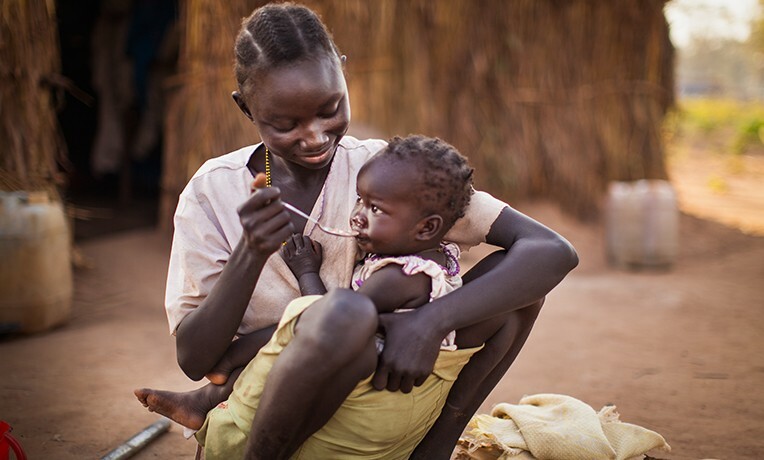 An additional supplementary ration is provided for children 6 to 23 months old to prevent malnutrition. Ibrahim said that they usually only ate once a day before Samaritan’s Purse began providing food. 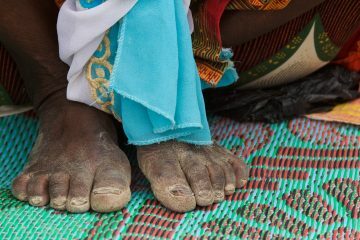 Saratou said that she still has to walk in search of water, but at least the burden of finding food has been lifted from her. Hunger Relief Programs Scripture tells us that when we reach out to help “one of the least of these” we are expressing our love for the Lord Himself: “I was hungry and you gave Me food” (Matthew 25:35a, NKJV). Samaritan’s Purse is working to meet the physical and spiritual needs of people around the world through several hunger relief programs, including therapeutic feeding for malnourished children and nursing mothers, emergency food distributions in crisis situations, hot meals for orphans and the elderly, and food parcels for families in poor neighborhoods.